Directions: F to Parsons; E, J, Z to Jamaica Center; LIRR to Jamaica Station. In conjunction with the inaugural Southeast Queens Biennial: A Locus of Moving Points, the 2017 NLE Curatorial Lab has organized an Accessibility Workshop for Curators, Gallery Directors and Arts Organizers. 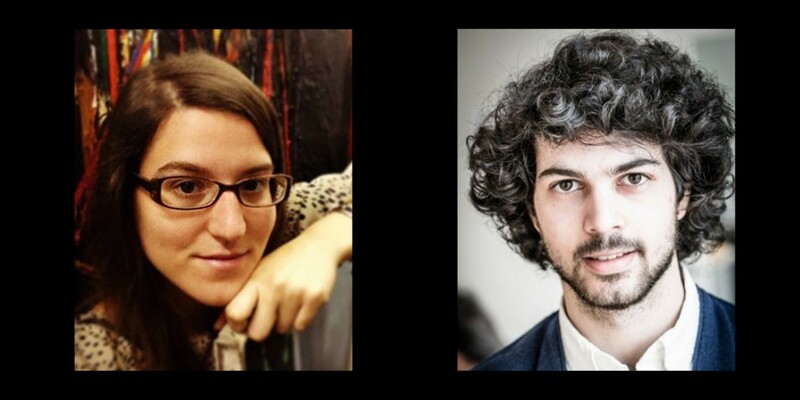 The evening will feature presentations by artist Ezra Benus and Ariel Willmont, Director of Fountain House Gallery. Benus, who lives with chronic illness, will discuss the work he’s doing to make disability discourse better understood and more frequently used in the art world. Willmont will speak to her experience supporting the careers of artists living with mental illness. Going beyond basic accessibility requirements, both speakers will highlight the oft-ignored barriers that contemporary artists face when applying for exhibitions and residencies, or seeking gallery representation. Participants should be prepared to bring their own experience(s) to the table and to discuss accessibility as it plays out in a variety of art institutions and settings. This event is free. Click here to register by March 30, 2018. Ariel Willmott graduated from SUNY Albany with an Art History degree. During her four years at SUNY, she worked at the University Art Museum where she was captivated by working with artists and being a part of the exhibition process; from the planning stages to installation, and beyond. She became Director of Fountain House Gallery in 2014 after holding a Gallery Manager position for a year. Prior to directing Fountain House Gallery, she was employed by Acoustiguide as the Operations Manager at The Museum of Modern Art, The Frick Collection and other museums in New York City. In 2016, she launched a new studio space for Fountain House artists in Long Island City. She works in pottery in her free time. Ezra Benus studied at the Bezalel Academy of Art in Jerusalem, the University of Amsterdam, and completed his degree in Studio Art (honors) and Jewish Studies at Hunter College CUNY. He graduated as an Erich Fromm Fellow from Paideia Institute in Stockholm, where he completed an intensive 8-month long Jewish Studies fellowship. Benus’ work in painting, sculpture, and performance confronts social and cultural assumptions on the topics of disease, disability, and religion, in the hopes of expanding ideas and conversations around these topics. He is a member of the first BOOT CAMP cohort of Disability/Arts/NYC/Taskforce (DANT), working to promote the practice and policy of Disability Artistry in NYC. The Covenant Foundation listed Benus as 1 of 12 “Jewish Artist-Educators You Should Know”, having taught art for three summers at Brandeis University’s pre-college program Brandeis Institute for Art and Music (BIMA). He has spoken publicly about his art and disability arts activism at venues including CUE Art Foundation and Princeton University, and has exhibited and performed internationally in Jerusalem, Israel; Stockholm, Sweden, Dayton, Ohio; Calgary, Alberta; and New York City. Benus’ curatorial project Strijd ∞ (pronounced Stride Infinity), about the infinite struggle for the democratization of higher education, has been presented in the Netherlands, Berlin, Ireland, and Italy, along with contributions to published articles in in the research project “Nomos of Images”, based at the Kunsthistorisches Institut (KHI) in Florenz, Max Planck Institut, and the Polish art history journal Art for the Sake of Democracy. The inaugural Southeast Queens Biennial: A Locus of Moving Points is organized by the 2017 NLE Curatorial Lab: Sarah Fritchey, Corrine Gordon, Rebecca Pristoop, Niama Safia Sandy and Anastasia Tuazon, in partnership with York College Fine Arts Gallery CUNY and Queens Library. The 2017/2018 NLE Curatorial Lab is supported in part by an award from the National Endowment for the Arts, public funds from the New York City Department of Cultural Affairs, the Laurie M. Tisch Illumination Fund, and Isambard Kingdom Brunel of North America. Image: Ariel Willmott, Director of Fountain House Gallery and Ezra Benus, Artist.